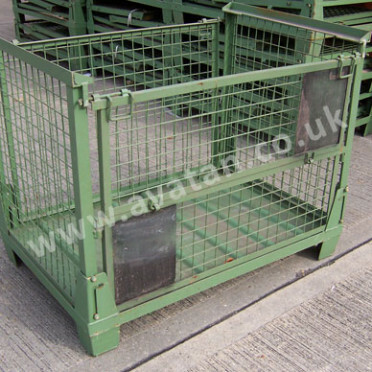 Ex MOD popular heavy duty cage pallet with well braced sheet steel base, fixed tubular corner posts and supplied with set of four removable mesh gates. 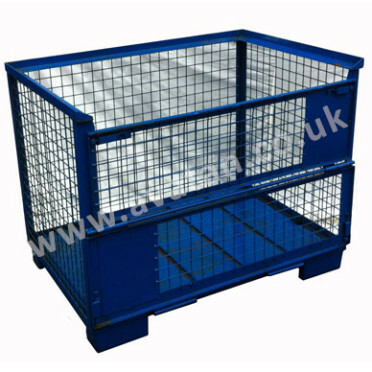 Tubular heavy duty construction. Metal stillages in reasonable, solid, sound stacking condition with some surface rust. STOCKS REQUIRED. Good prices paid. 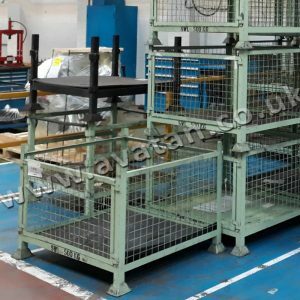 Second hand pallets not currently available. We seek stocks of this product. 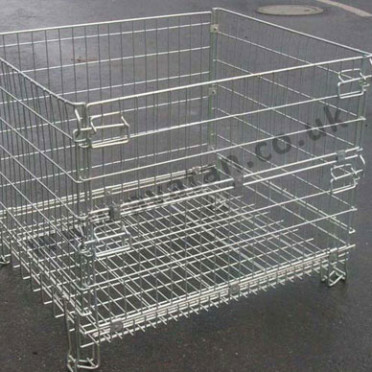 NEW MOD style stillages: This popular unit is now in short supply second hand. 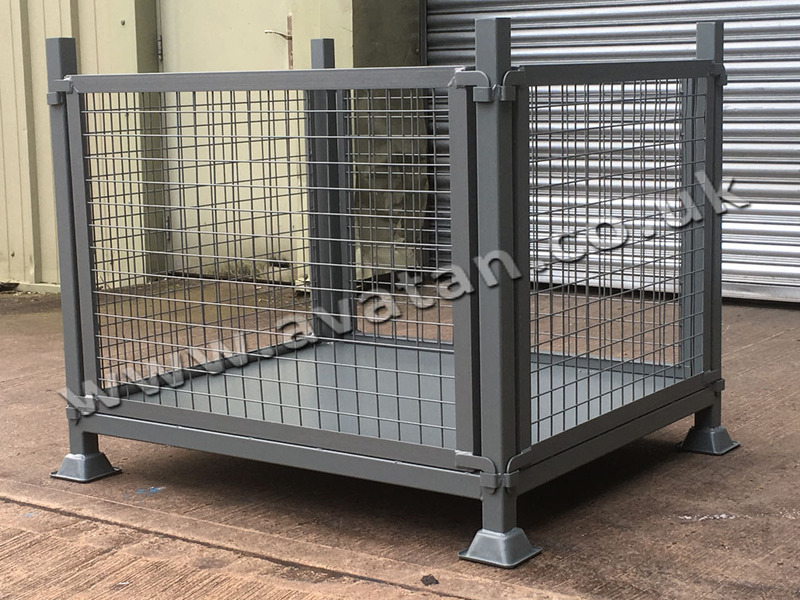 If you have stock of this product and wish to sell them, please call Avatan today. 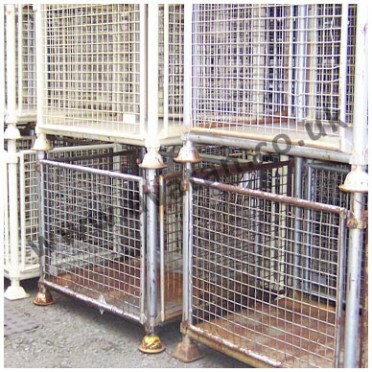 We do also offer NEW cages in a very similar style, see picture below. Please call the office for details.